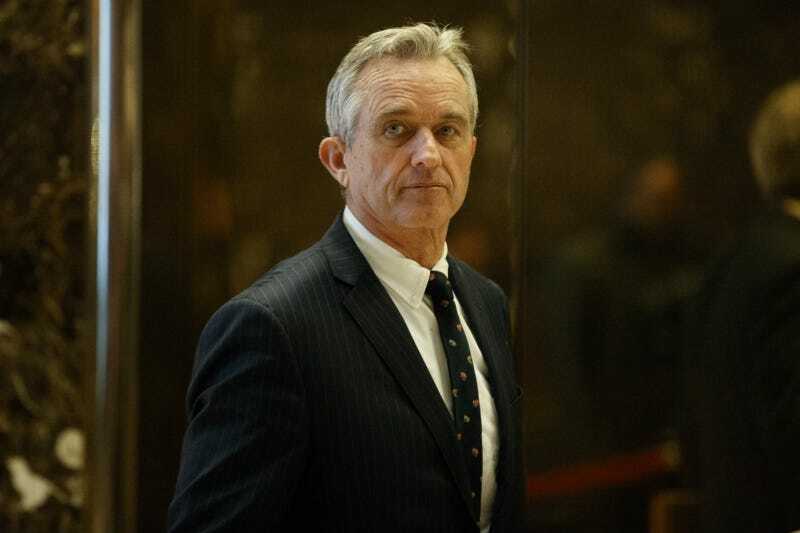 Filed to: robert f. kennedy jr.Filed to: robert f. kennedy jr.
Robert F. Kennedy Jr., an activist who’s pushed the debunked theory that vaccines cause autism for a very long time, says Donald Trump has asked him to chair a commission on vaccine safety. This isn’t like asking the fox to guard the henhouse; it’s more like asking someone to redesign the henhouse after they’ve told you they don’t think henhouses strictly need to exist. Kennedy is, yes, one of those Kennedys, and a longtime environmental activist. But in the past few years he’s also pushed the idea that thimerosal, a preservative in vaccines, is responsible for increased autism rates. The CDC has repeatedly debunked that claim (which is only reassuring if you believe the CDC, which the anti-vaccine fringe does not). That makes him a nice match for Trump, who’s said explicitly and repeatedly that he believes vaccines cause autism.